We're strong believers that good food doesn't always equal fancy food—in fact, for the most part, we'd be happier with a greasy spoon over white linens and wine pairings any day. 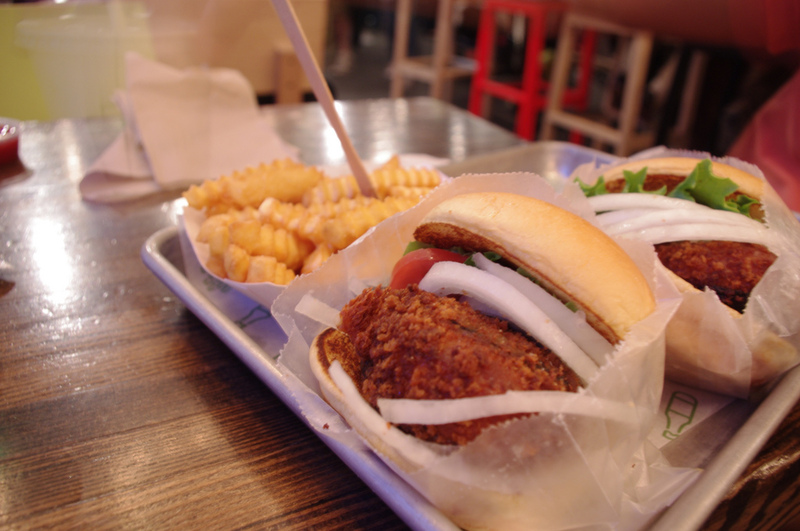 In New York there's food for every taste, including not so fancy but absolutely delicious fast food. From good old classics like pizza, hot dogs, and burgers to inspired treats like lobster rolls and hand-ripped noodles, here's our list of the best fast food in New York without ever succumbing to ‘special sauce’. 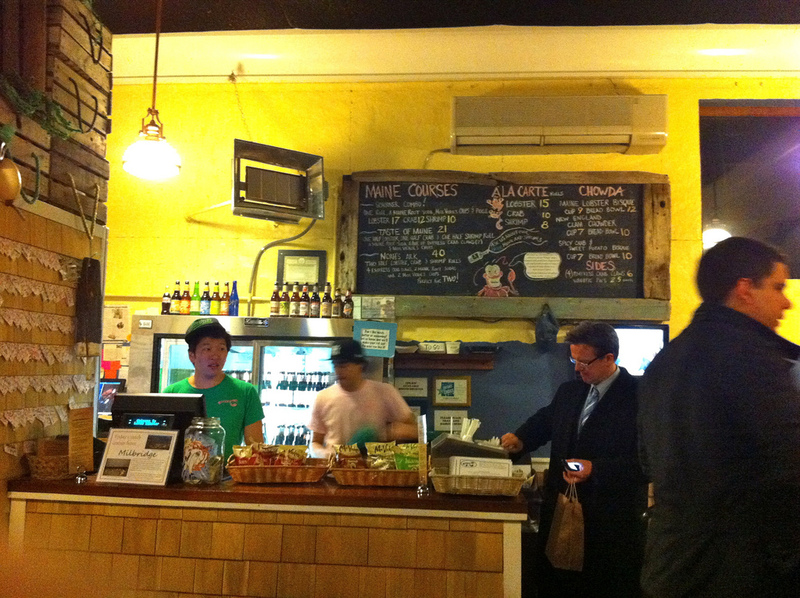 Focusing on quality product instead of white table clothes and candles, Maine raised Luke Holden serves up (arguably!) 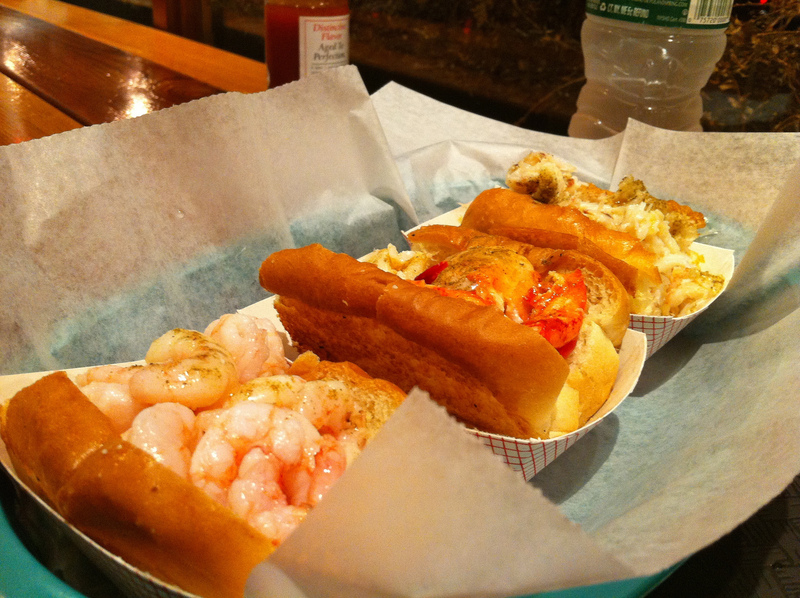 the city's best lobster rolls in an unpretentious East Coast atmosphere. Big chunks of lobster claws, lightly dressed on buttered white rolls, these sandwiches are almost healthy...well at least they aren't fried. Lobster not your thing? Weirdo. Lucky for you Luke's Lobster also serve sweet shrimp and crab rolls that we crave at least once a week around here. There's plenty of pizza in New York, but not all is edible and to be honest, most aren't very good. 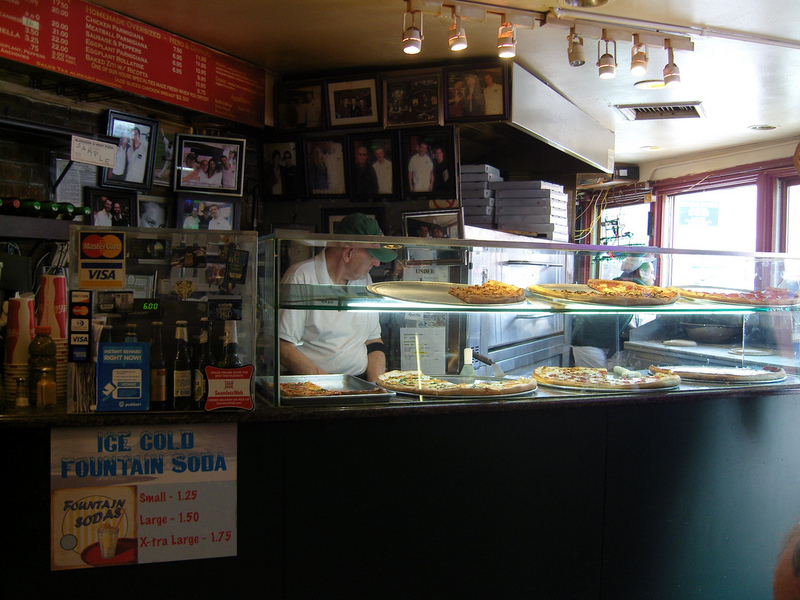 Head over to Greenwich where you'll find Bleecker Street Pizza, a small counter with a few tables and greasy, gooey, cheesie pizza slices like you've always dreamed about. There's a new pizza coming out of the oven every few minutes, but our favorite by far is the Nonna Maria, mozzarella, basil, parmigianno-reggiano, and garlic on a crispy medium crust. This is easily one of the cheapest and best fast food restaurants in NYC. 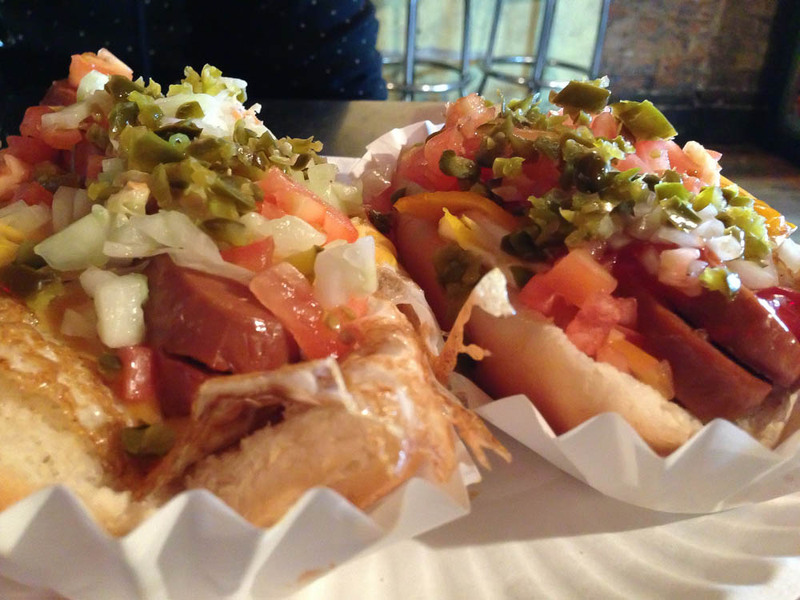 Few things are more New York City then a hotdog which can be found on almost any corner from a cart, but sometimes we crave something a little different. Head over to Crif Dogs where their handmade smoked beef and pork hotdogs can get wrapped in bacon, and topped with house specialty toppings like cream cheese and everything bagel seeds. Late night last night? Grab the melted cheese and a egg for breakfast. Stuck in schmancy mid-town but don't have the time or patience for a tourist filled restaurant and don't want to stomach another fast food burger? Head over to the corner of 6th and 53rd where you'll find the Halal Guys street cart, NYC's best foreign fast food chain. $6 will buy you some greasy Middle Eastern comfort food that you definitely won't find at your regular joint. The chicken on rice covered in garlicky white sauce hits the spot every time! Burger and fries kind of person? No sweat , we've also got you covered with the city's best fast food burgers. Head over to Shake Shack and order a Shake Stack — a cheeseburger topped with a deep-fried mushroom cap stuffed with Muenster cheese, topped with lettuce, tomatoes and Shake sauce. Round it out with highly addictive crinkle-cuts with cheese sauce and a hand spun, frozen custard (fancy pants for "extra thick milkshake") to wash it down. Yum! 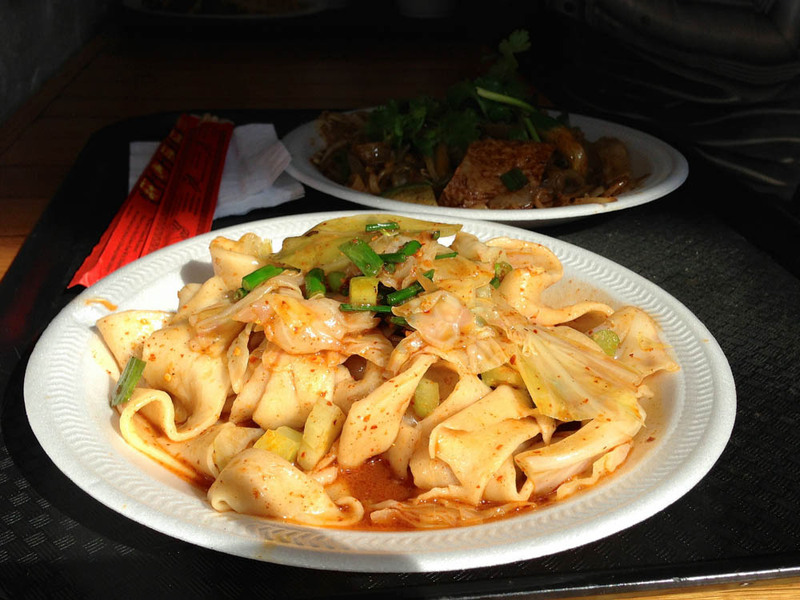 The absolute spiciest hand-ripped Chinese noodles you'll find in New York, Xi’an Famous Foods sets the standard for Chinese fast food joints. These puppies are traditional, cheap, and oh-so-satisfying! If you can't handle the heat you can request your noodles not spicy—but really, there's no gain without a little pain right? Disclaimer: Sometimes spicy means uncomfortabley spicy.